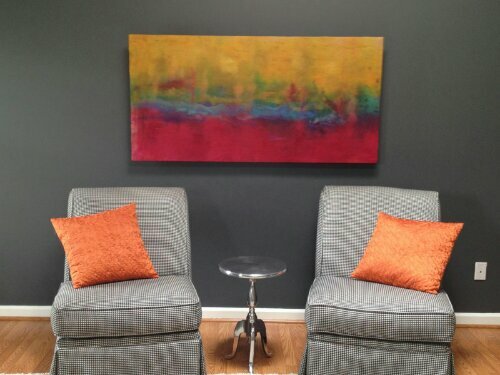 I just recieved pictures of this recent commission piece in a client’s home. I love to see everything pulled together and complete! I have no single area in my own home which is this perfect which is maybe why I appreciate it so much! It was a wonderful project to work on with the client and the designer.